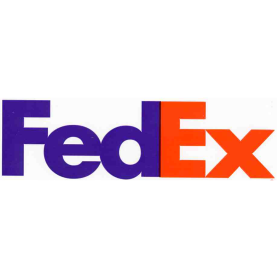 FedEx Fulfillment provides e-commerce solutions to small and medium-sized businesses. They offer packaging, warehousing, order fulfillment, reverse logistics, and product storage in their warehouses across the United States and Canada. Ready to try FedEx Fulfillment? Contact their support team for more information. As of the date this article was written (11/06/18), there are no user reviews of FedEx Fulfillment online. If you are a past or current FedEx Fulfillment customer, leave a review to help other business owners who are deciding whether or not to use FedEx Fulfillment. FedEx Fulfillment pricing is custom priced according to a merchant’s needs. Prices for similar providers range from $2 to $8/order, plus an additional receiving fee of $35 to $40/hour, while storage costs range from $8 to $15/pallet/month. Ready to try out FedEx Fulfillment? Contact their support team for more information. What customization option does FedEx Fulfillment offer? Instead of sending FedEx-branded boxes, FedEx Fulfillment allows merchants to use custom boxes branded with unique logos. Does FedEx Fulfillment offer same-day fulfillment? Yes. FedEx Fulfillment offers same day fulfillment cut-off times, two-day ground shipping to the majority of the U.S. population, and a hassle-free returns process. Not sure if FedEx Fulfillment is the right fit for you? Read our reviews of all top order fulfillment services providers.